In outward form, Number9Dream is a Dickensian coming-of-age journey: Young dreamer Eiji Miyake, from remote rural Japan, thrust out on his own by his sister's death and his mother's breakdown, comes to Tokyo in pursuit of the father who abandoned him. Stumbling around this strange, awesome city, he trips over and crosses - through a hidden destiny or just monstrously bad luck - a number of its secret power centers. Suddenly, the riddle of his father's identity becomes just one of the increasingly urgent questions Eiji must answer. From award-winning writer David Mitchell comes a sinewy, meditative novel of boyhood on the cusp of adulthood and the old on the cusp of the new. 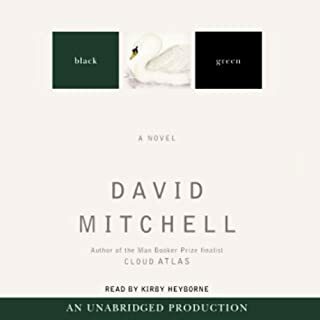 Black Swan Green tracks a single year in what is, for 13-year-old Jason Taylor, the sleepiest village in muddiest Worcestershire in dying Cold War England, 1982. But the 13 chapters, each a short story in its own right, create an exquisitely observed world that is anything but sleepy. 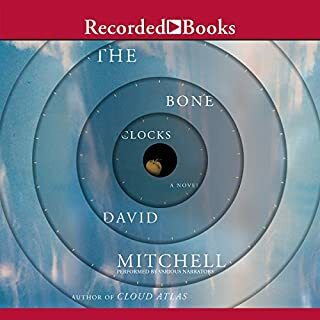 This was my third Mitchell, and I can honestly say that he really does know how to carry the narrative(s). 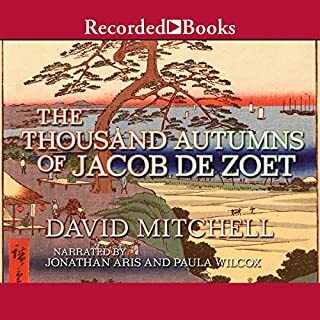 While his debut is much closer to Cloud Atlas (the first book I read) than my personal favourite ”The Thousand Autumns of Jacob de Zoet”, the undersong of tension that he’s able to weave to his stories is already there, strong and commanding. 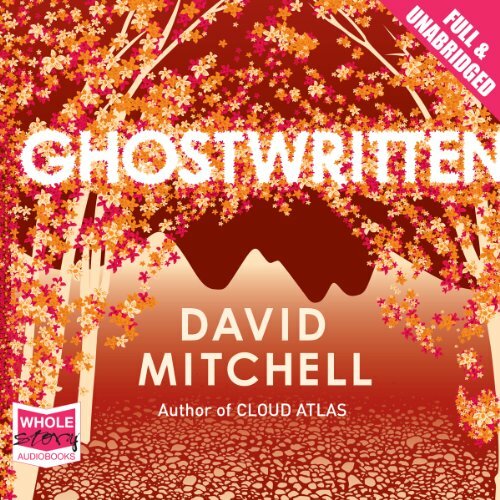 Although I prefer ”Jacob de Zoet” also in terms of how concentrated the narrative is – despite the fact that it, too, carries the story through with the aid of multiple narrators – ”Ghostwritten” is a thoroughly engrossing tale of transmigration, life, death and relationships in the middle of it. In other words, the little brother to ”Cloud Atlas”. The challenge is immense. The book is divided into chapters that all follow a different character, their destinies and lives somehow interlinked, in fact in a very particular way, which one will realize when all is said and done. How does one then carry the story so that it stays fervent and interesting? I think Mitchell does an admirable job, although there are some stories that didn’t do it for me at all, the Hong Kong chapters for example. 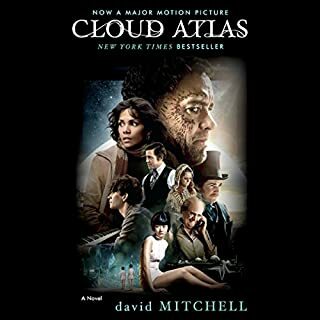 The mysteries of consciousness is the one topic with which Mitchell makes the most out of not only the story but his skill as a writer, and I think the theme works better here than it does in ”Cloud Atlas”, although it might be I’m mixing too much of the film with the book. In retrospect, the intertextuality between this and ”Cloud Atlas” manages to deepen both works. What disappointed you about Ghostwritten? I have listened to several books from Audible and have really enjoyed them and have been captivated. One of the things that has been consistent is the quality of the reader, they have all been excellent. It gives me no pleasure to say that the reading of this book was very poor, so much so that I could not listen after two minutes of the second story. There is no characterisation and the readers cadence is very similar no matter what the sense is of what he is reading. this is the first book I am returning. Would you be willing to try another one of William Rycroft’s performances? My first experience of David Mitchell, and it's a long time since I've been so captivated by a novel, perhaps 'My Name is Red' was the last to give me such pleasure. The novel consists of stories from nine narrators around the world. They are loosely linked, although the exact nature of their interdependence emerges as the story progresses. Each stands alone as an engaging piece of writing, although inevitably some will grab you more than others. There are big ideas in the book, but I won't try to explain them, or my understanding of them, here. It's enough to say that it is a highly enjoyable listen from a distinct and compelling author, although it wasn't until the third chapter I was completely hooked. The narration is excellent, some accents are better than others but each voice is distinct and believable. I really enjoyed this as a book and found it got better as it went on as the larger picture unfolded and the stories became linked together. I loved the range of the stories in time and culture and the shared themes between them and occasional shared character. However, it was disconcerting to have a male reader for the stories with a female voice and the editing was very poor. There was no break between stories and unless there was a heading with a place name you couldn't tell until you got into it that the old story had finished and a new one begun. I have found this a problem with several audio books but the nature of this book made it more annoying and difficult to follow here. It's a series of short stories or novella that interlink initially in a series a bit like the later "Cloud Atlas", but also they interweave and reference each other giving you particularly satisfying perspectives on earlier stories. I particularly liked the pivotal early story which features a Hong Kong banker. His account of being late for work was an early example of the scintillating prose that leaps out of many of the stories so vividly they are like those shiny illustrations you used to get in classic novels. The book is held together by the narrative twine but there is a strong theme of serendipity that runs through the whole thing giving it real coherence despite the episodic form. I loved Cloud Atlas for the cleverness of its form and the way it raced past the present time into the future and back. Though this was his first novel and does have a few rough patches I think I preferred it. Some of the stories, the Irish one and Holy Mountain are just about the best thing I have ever read. You will have gathered I can't recommend it highly enough. I' have now read two of this author's books & they are very different from one another. This one is rather thought provoking. I thought that this was an excellent book and it was enhanced by William Rycroft's narration. 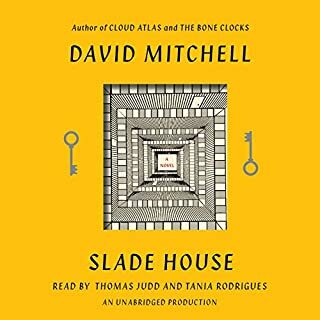 Similar to Cloud Atlas with several short stories, loosely connected. A couple of characters from Cloud Atlas and Black Swan Green make an appearance. I particularly liked the Zookeeper's story. This is beautifully narrated and cleverly written. I will listen again to understand it better! 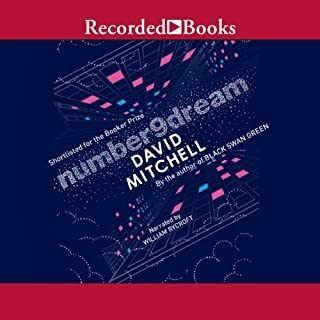 Would you ever listen to anything by David Mitchell again? Would you listen to another book narrated by William Rycroft? What character would you cut from Ghostwritten?